Sked Social is about more than Instagram. You can also schedule content on Facebook and Pinterest, saving you 5-10 hours per week. We are going to show you how to post on Facebook using Sked Social and explore the different kinds of social media posts you can schedule. We will start by looking at how to create a Single Image Post on Facebook using Sked Social. To do this, you need to begin on the Sked Social dashboard. From here, select Upload Posts from the menu on the left-hand side. You will now see the Upload Posts section of the Sked Social app. Select the Facebook account you want to post from. You can find this under the Select Account(s) section. Under the Upload Media section, you can select Single Image Post. This is where you will find all the different post kinds you can make via Facebook. Next, browse to find or drag the image you want to post. This can be from your computer. It can also from Google Drive, Dropbox and Instagram URL. You can also create an image using Canva. You will now see your chosen file under ‘Selected Files’. Click the blue Continue button above the upload box to continue. The image will process and then you will see the Post Details screen. This is where you can edit and crop your image. Click the Edit Image button below the image preview. There are Common Crop options for your image, such as square and 4:3. 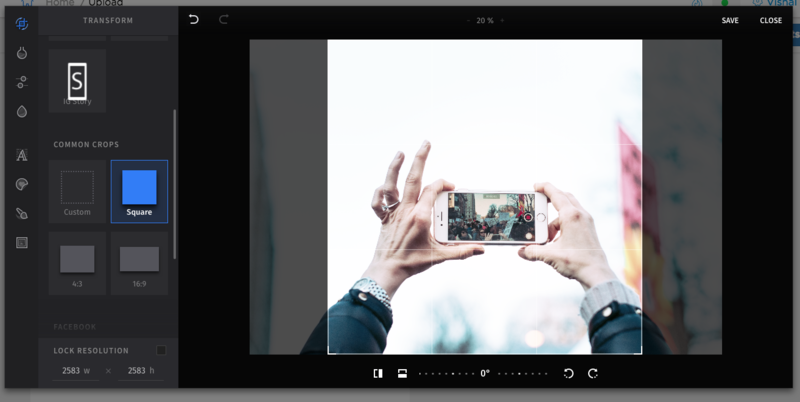 The Post Details section is also where you can apply filters to your image. Once you have made your edits, click Save in the top right corner. The Post Details section is the place to add your caption too. This is alongside options to add in your hashtags and emojis. Once you are happy, click the blue Submit & Create Posts button on the top right. Clicking the blue Submit & Create Posts button will send the post to your Drafts. From Drafts, you can schedule your post for when you want it to go live. It will post at the time you schedule it for. As above, you need to start on the Upload Posts page. Choose the account you want to post from. Under the Upload Media section, select Multiple Images/Carousel Post. 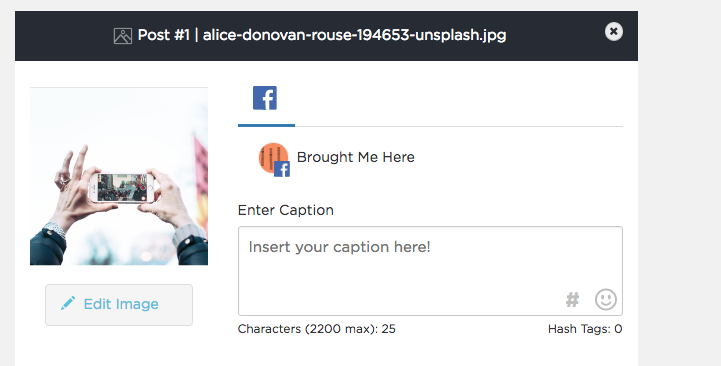 Browse and upload your photos as usual from your selected file source. For this type of post, you need to upload at least two images. The most photos you can post is ten. Click the blue Continue button to the top right of the upload box to jump to the next stage. Sked Social will process your images. You will then see the Post Details screen. This is where you can edit the images. It is also where you can edit the carousel. 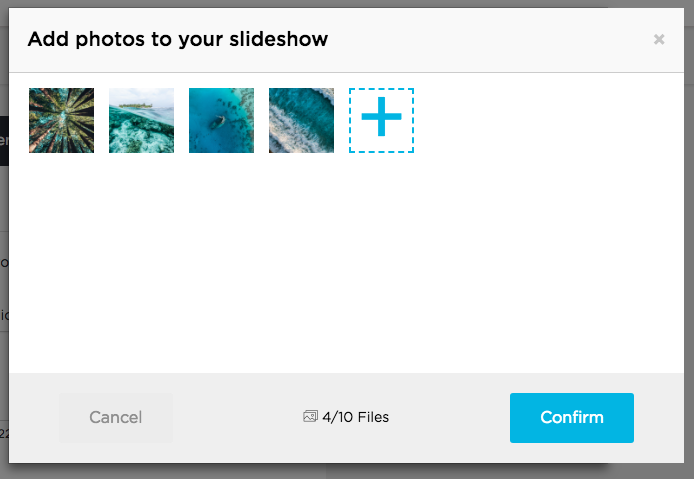 You can add new photos and edit the order the images appear in. 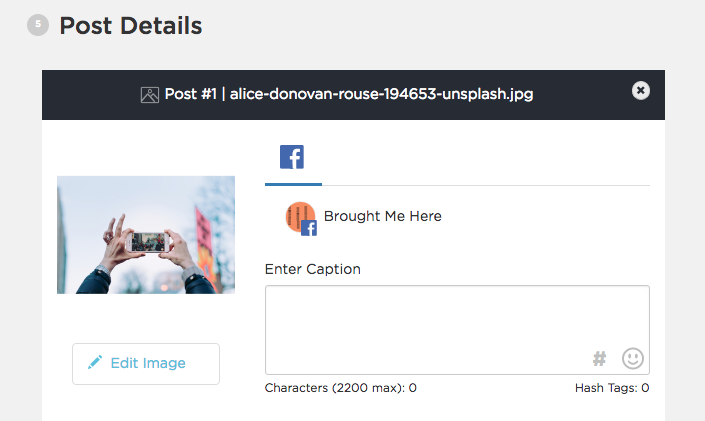 The Post Details screen is also where you can enter your caption. This comes alongside the chance to enter your hashtags and emojis. Once you are happy with your edits, click the blue Submit & Create Posts button on the top right. This will send your multiple image post to the Drafts section. 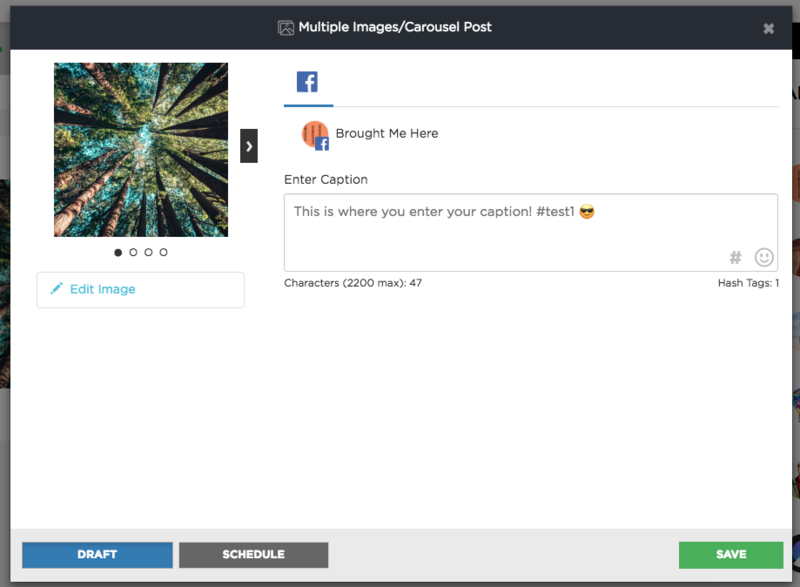 From Drafts, you can schedule your carousel post and select the date and time when you want it go live. 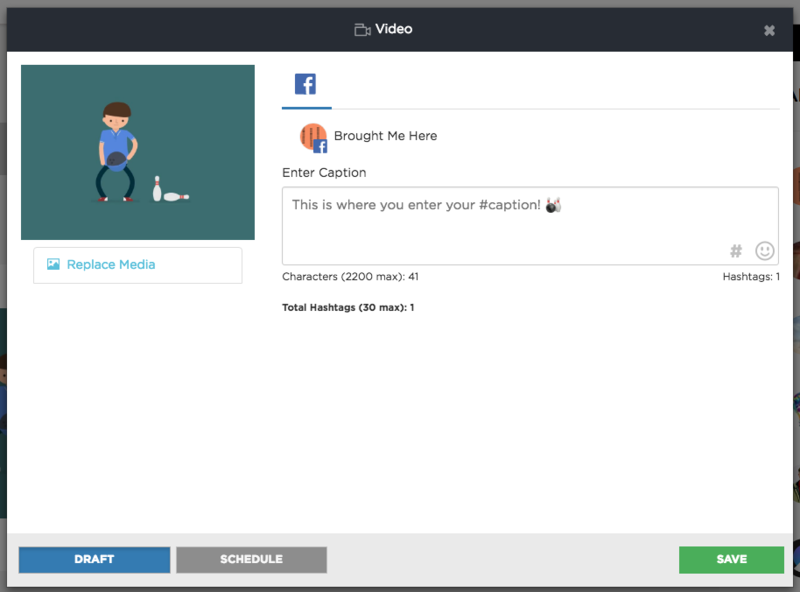 To create a video/GIF on Facebook using Sked Social, start on the Upload Posts page. Select the Facebook account you want to post your video/GIF from. Once you have done that, scroll down to the Upload Media section. On the menu on the left, you can select the Video/GIF tab. To the right, click Browse to select the video/GIF file you want to post. When you have selected your file, click the blue Continue button above the upload box. Sked Social will then process your file. Once the file has processed, you will see the Post Details screen. 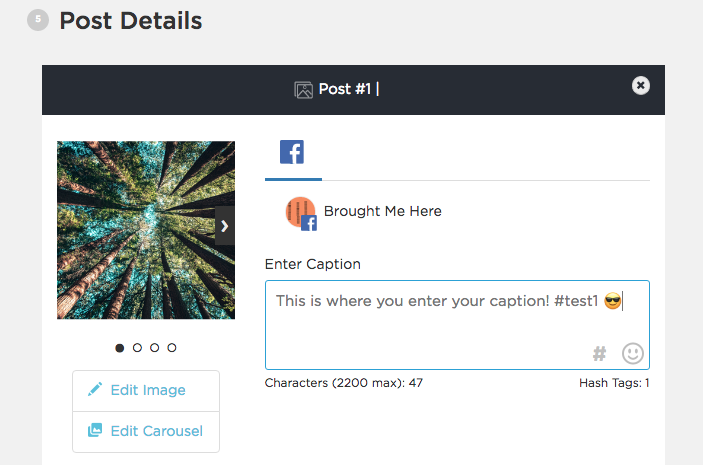 This is where you can add your caption, hashtags and emojis. When you are happy with your post, click the blue Submit & Create Posts button on the top right. You will see a green ‘1 Posts Created’ notification appear in the top right. This means your post has been created successfully. You can now find your post in the Drafts section of Sked Social. Click the Edit Draft button on the right. This will bring up the screen where you can schedule your post. Choose the time and date and click the green OK button. Click the green Save button. You will see a green notification on the top right to let you know that your post has been scheduled successfully. Your post will now be in the Upcoming Posts section. We are now going to look at how to create a text/status post on Facebook using Sked Social. For this, you need to start on the Upload Posts page. Choose the Facebook account you want to post from under the Select Account(s) section. Scroll down to the Upload Media section. Select the Text/Status option from the menu on the left. 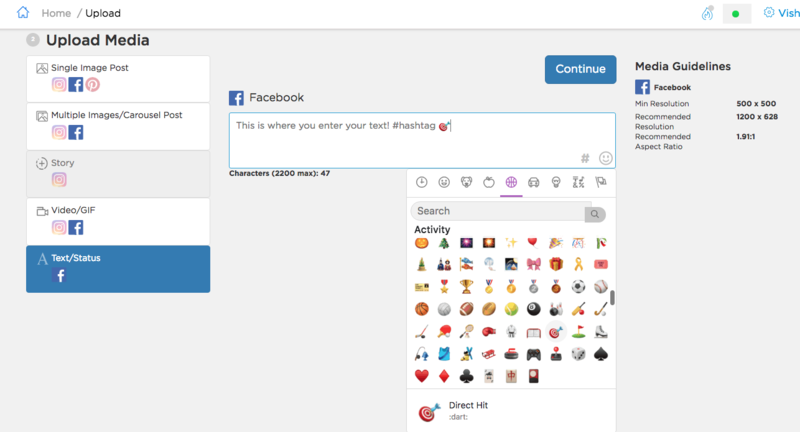 Now you need to enter your text, along with hashtags and emojis if you want to use them. Once you have done that, click the blue Continue button on the top right to proceed. You will now see the Post Details screen. You can also edit your text here, should you need to. There is a character count of 2200 so you do not go over the limit. There is a hashtag counter in case you try and use too many as well. The post will now be waiting for you in your Drafts. From there you can schedule and post as above. All done! We hope this blog post will prove helpful for scheduling on Facebook via Sked Social. 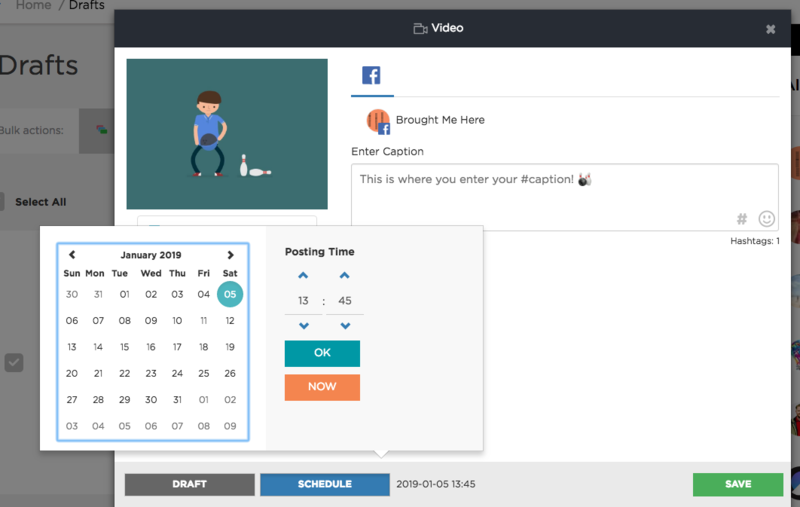 If you have not already, take a look at our step-by-step guide to uploading content to Sked Social. 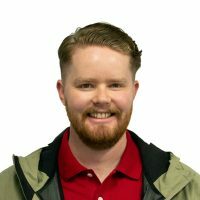 If you have any questions, please feel free to get in touch with the Sked team.